The Multi-Talented Mark Loquan has been contributing to the music of Pan for over 15 years. 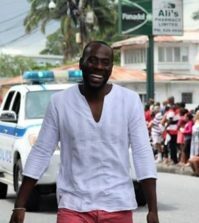 A true Pan Jumbie, he has produced several popular songs for Panorama, which have been performed in T&T and across the globe in pan events and universities. His contributions include songs like Passion for Pan, Fire and Steel, Identity, Frenzy and Colours Again. He has also done collaborations with the likes of Amrit Samaroo, Edwin Pouchet, Ken “Professor” Philmore, and Seion Gomez to produce songs like Celebration Time, Hooked, Dangerous, Surrender, Calling Meh, Vibes, Dr. Samaroo, Outta De Box, Bass on Fire, and Breakthrough. 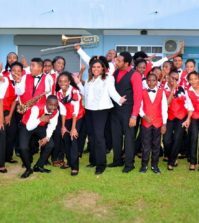 In 2015, his song Dr.Samaroo, arranged by Amrit Samaroo, was performed by Supernovas which placed 2nd in the first International Panorama held in Trinidad and Tobago in August 2015. 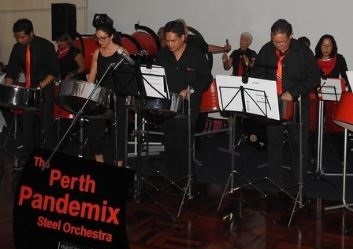 Mark was also the Musical Director of the first resident steelband in Perth, Western Australia, Perth Pandemix; which started in early 2013. As a producer he has produced/co-produced works such as Passion for Pan Album (2000), Pan In Education (2004), and Pan in Education 2 (2011). Mark is also Honorary Founding Director of the Music Literacy Trust, a non-profit organization established in 2004, which has assisted several young talented pannists to acquire educational scholarships, preserved the music of cultural pan icons, and helped to introduce music education programs for youth. 1993 : Joined Silver Stars Steel Orchestra as a tenor player and taught to play pan by Michael “Manish” Robinson, Keith St. Louis, and Curtis Pierre. 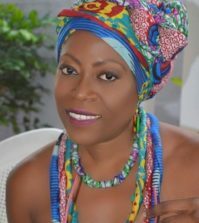 2004 : Through Yara Trinidad launched the Music Literacy Trust as Founder and Chairman of the Board. and Evolution of the Music Literacy Trust over a Decade”. For more on Mark do visit http://www.markloquanmusic.com/ For more on Talent Like Mark do visit The Plenty Talent FB Page.